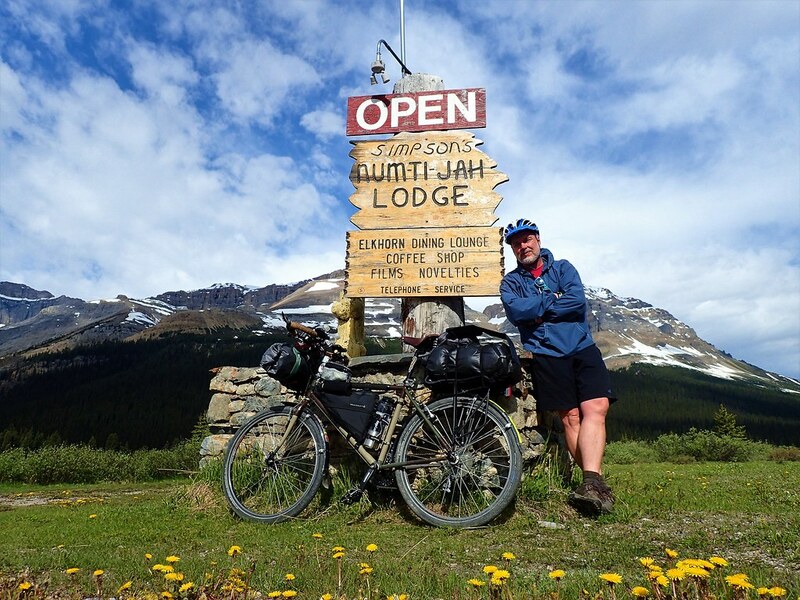 I'm planning a camping trip to Garibaldi Provincial Park, which is 8 hours by bike from Vancouver. I have two rear panniers and a hiking backpack. The dilemma is that I don't want to hike up 1500m with two panniers in my hands, but I don't want to carry all the weight on my back during the 8-hour bike trip either. Anyone has any suggestions on carrying the gears? Full panniers and empty pack on the bike ride. Stuff empty panniers and gear into pack for the hike. Or store empty panniers with bike while hiking. Where will you lock it? full backpack should fit in a bob trailer. Look into ultralight backpacking. 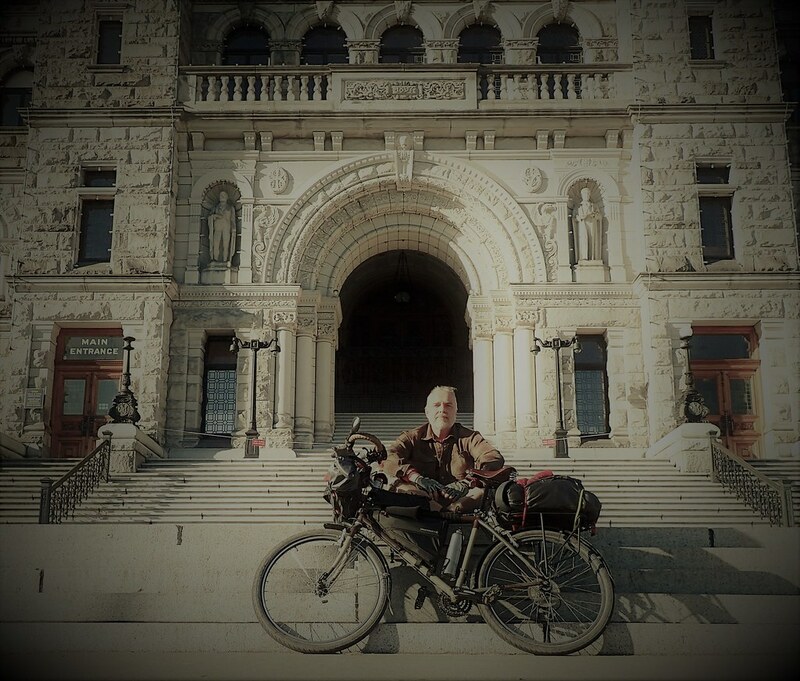 I cycle easily and often with an ultralight hiking kit. My loaded pack (without consumables) weighs less than ten pounds. It all fits into my two rear panniers, which I leave on the bike at trailheads. I hide the bike and lock it. The downside is the time and cost of refitting. It took me several seasons and a lot of hiking to reduce the pack weight that much. Ultralight gear often carries a learning curve with it, like dealing with condensation in a single-wall shelter. 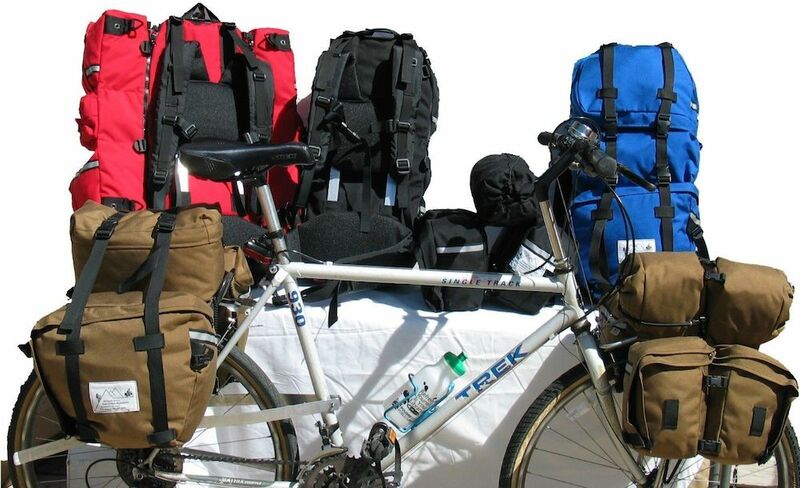 Traditional backpacking gear means you're going to have to tough it out and carry a lot of stuff on the bike. I met a guy in NZ cycling between tramps and his load was unbelievable. what is your plan for securing your bike at the trail head? @andrewclaus ultralight backpacking sounds attractive, I'll keep that in mind for my future trips. I have seen a convertible pannier back pack, pictured..
Not in person so I cannot guess if its such a compromise to not be great at either to try to be both.. I remember seeing some pretty large backpacks that did not have a frame or padded straps, and packed down really small. They were intended for day packs when you leave your big pack and bedroll at camp. You'd just wad it into a corner of your pannier and reload when you get to the trailhead. If you want to carry your bedroll at the same time you would lash it on like we used to with external frame packs. Last edited by Darth Lefty; 04-15-19 at 02:04 PM. @fietsbob That's impressive! 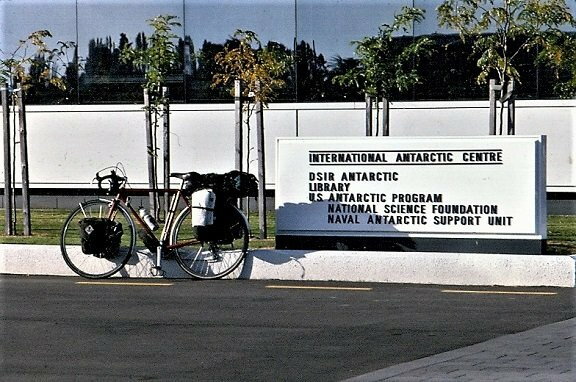 "Then rode home again" sounds like he went to a nearby park lol, but in fact its from Stockholm to Nepal... and the mountain is Everest! Full respect to him! Last edited by KingstonChen; 04-15-19 at 02:30 PM. I would try to create a way to strap the backpack to the rack and ditch the panniers. This is what I did on a 2 week Rocky Mountain tour a couple of years ago. I used a MEC 20L Raptor pack for hiking day trips on a wide Filzer PR-4 rack. Now with my modest UL gear I could do a spartan overnighter or weekend (1 man tent, thermarest, Hot Core 100 bag) but would have to pack smart. For a long day hike it was fine. There are a number of convertible backpack panniers. The most elaborate system is the Richard Jones system. I've been dreaming about that pack system for a few years, but have no idea how well it actually carries. 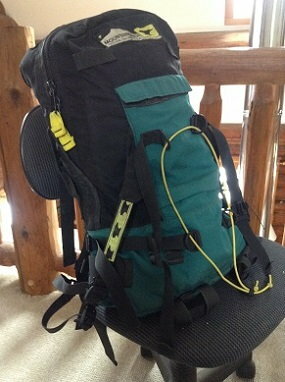 However, there are numerous "Day Pack" panniers that would be good for shorter excursions. Or, perhaps reduce what needs to be carried. One of my concerns is bike security. I haven't tried these panniers, and I really don't want to leave my bicycle overnight at the trailhead. However, I'd probably carry the bike up the trail, maybe 1/2 mile, then off the trail a bit, so it is out of sight from both the parking lot and the trail head, and lock it to a tree. @CliffordK great suggestion! I'll try to hide my bide too. Me too! I have wanted one of these my whole life. But now that I can actually afford them I am hesitant as I doubt they provide enough functional volume for full time touring.. Most of my trips have been shorter, but it appears as if there is quite a bit of total volume in that set, although some items might be frustrating to pack into small pockets/bags. 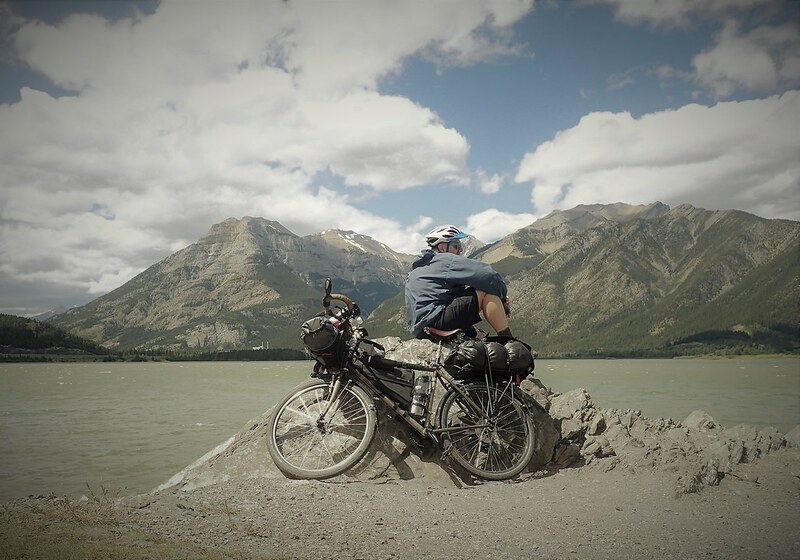 One might be able to tie certain items onto either the outside of the panniers or pack, although one might run into issues with large bulky heavy items that would end up with poor weight distribution with either the bike or pack.